I've been waiting for this series ALL year since Tidewater and Tulle launched last December! The Best of the Best from our features in 2014! Either these details have been wildly popular on Pinterest or there was a buzz about them on social media, we have rounded them up into posts according to their respective categories. And today, we are starting this Best Of series with one of my favorite wedding details ever… the florals. 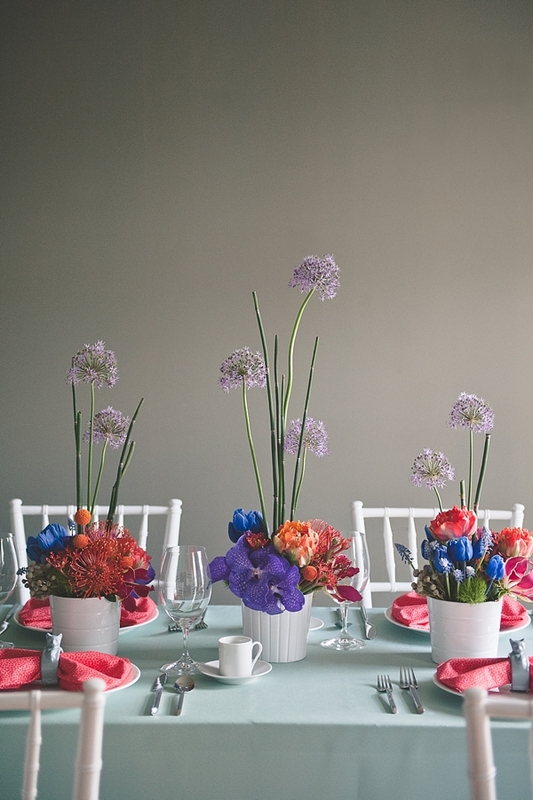 Whether it's spring or fall, flowers of all kinds speak a wedding's language. It can utter words of classic, rustic, organic, or romantic depending on the artist who arranges them meticulously, and they are power players on any wedding day. 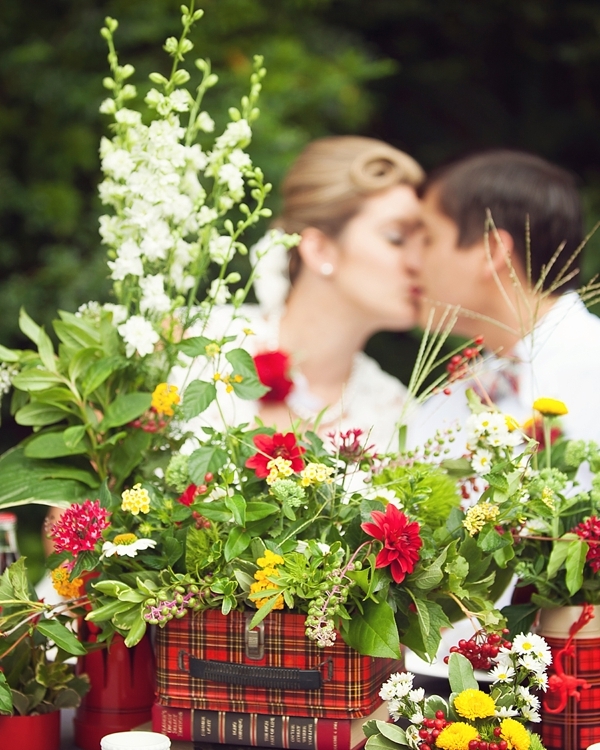 So without further ado… the best of florals from 2014! Florals and cupcakes? You just can't go wrong with this winning combination as it definitely makes this garden-inspired wedding special. 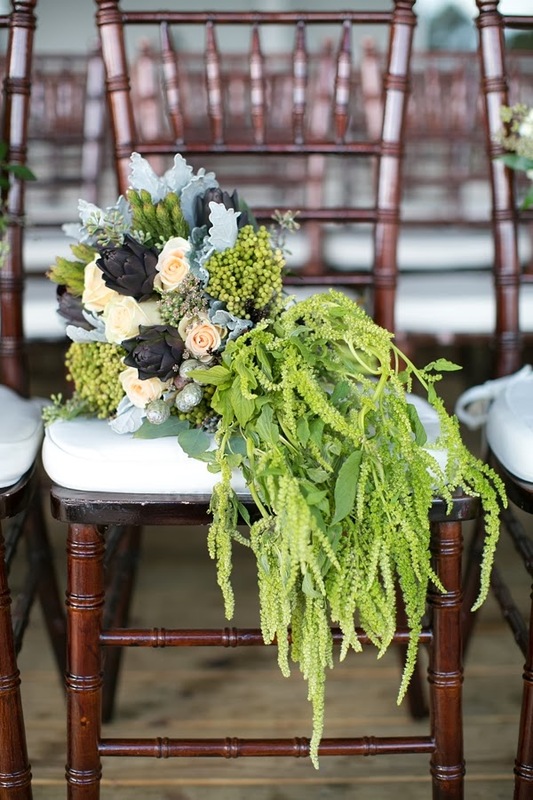 With dramatic textures, this bridal bouquet made an impression in shades of green, cream, and deep purple. Colorful and exotic textures can add a sort of whimsy to any floral arrangement, but especially to this cat-inspired bridal shower inspiration! 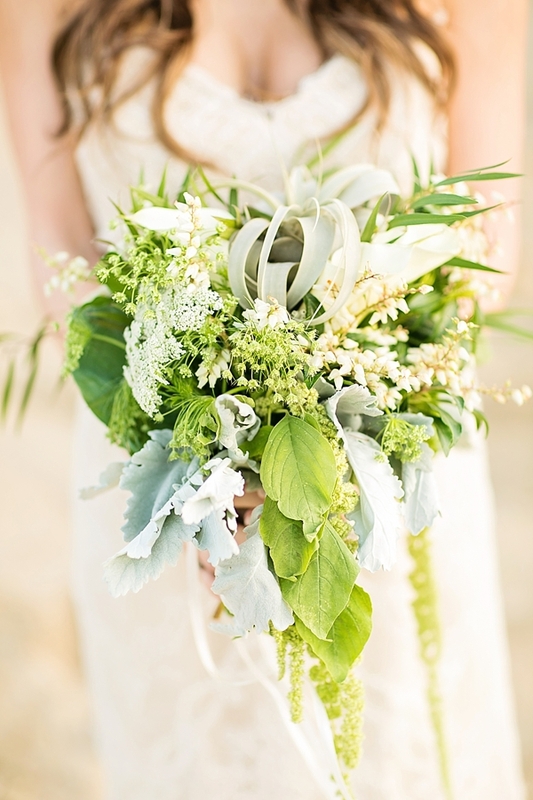 There's nothing that says a laid-back beachy wedding more than this loose and artfully arranged bridal bouquet. We love you, air plants! 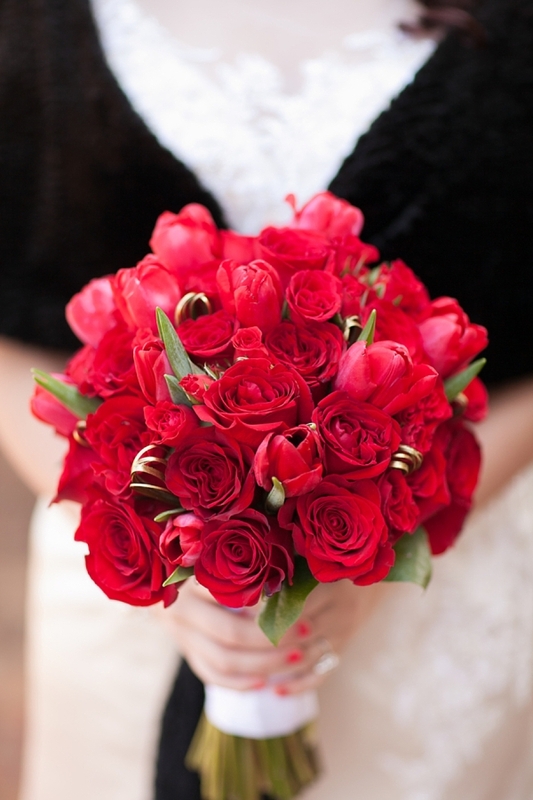 An all-red beauty stands the test of time, and this classic bouquet channels a timeless era with golden modern touches. Vintage metal lunch boxes with wildly arranged and cheerful blooms. Enough said. 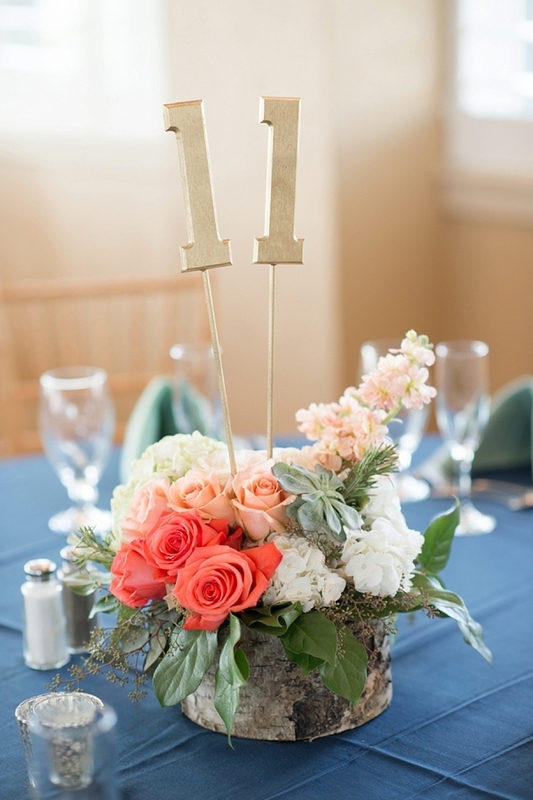 I love multi-purposed things like the rest of us, so this table number slash floral centerpiece is pretty much perfect for looks and for budget. Equestrian lovers everywhere swooned for this one! 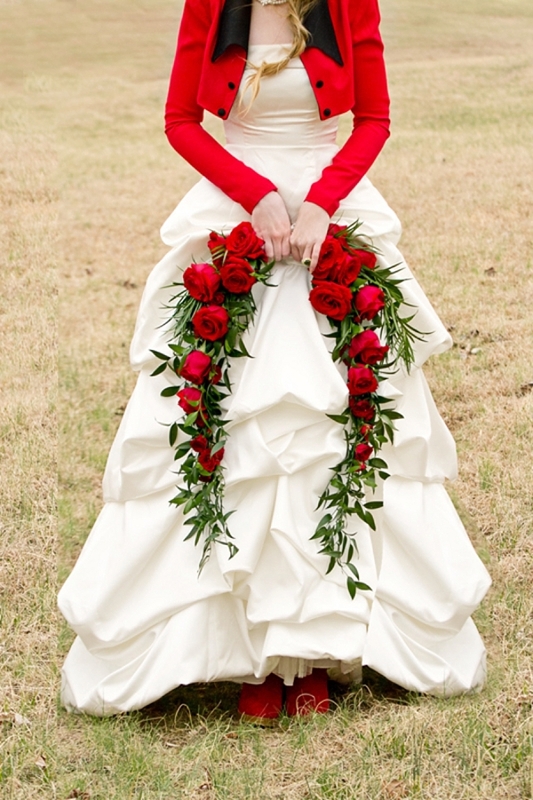 If you envision florals beyond the norm, the classic red rose is given a bit of a makeover with this unique bridal swag. Simplicity speaks volumes when it comes to a rustic wedding day, and this happy sunflower bouquet is no exception. Stay tuned for the weeks ahead as we share the Best Of… cakes/sweets, moments/photography, and color themes!